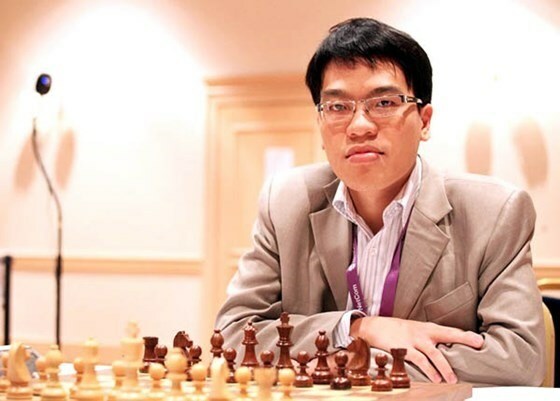 Hanoi (VNA) – Vietnamese players Nguyen Anh Khoi and Le Quang Liem remained unbeaten at the ongoing Sharjah Masters international chess tournament in the United Arab Emirates on March 27. Grandmaster Liem (Elo 2715) tied with Ernesto Inarkiev of Russia (Elo 2692), who tops the rankings, after 29 moves in the fifth round, while International Master Nguyen Anh Khoi (Elo 2484) tied with Grandmaster Sanan Sjugirov of Russia (Elo 2667) after 19 moves. After five rounds, Liem dropped to sixth place out of 150 players with four points, while Khoi is in 16th position with four points. Liem will next face Nodirbek Abdusattorov of Uzbekistan (Elo 2569) and Khoi will take on Nihal Sarin of India (Elo 2578).